Glenn Maxwell is a fielder and he doesn’t need to prove that to anyone. 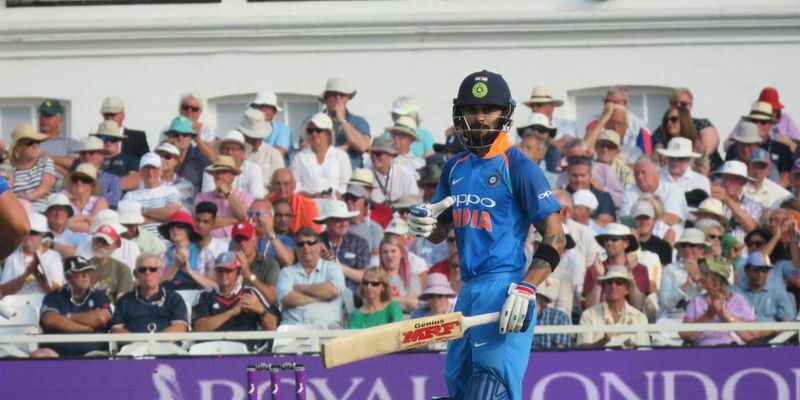 However, the lack of awareness of the batsman's position when Virat Kohli and Rohit Sharma were running for the single meant his superb throw went in vain and Kohli failed to control his laughter after the ball went for a four. Confidence is a very good asset to have, but well, why do you need to flaunt that every time? Glenn Maxwell learnt that the hard way in Australia’s run-defence in New Delhi, which was his home ground in the IPL last year. In the 11th over, Rohit Sharma dabbed a Marcus Stoinis delivery towards point, where Maxwell was stationed, and there was only one run possible from the shot. The duo of Rohit and Kohli successfully managed to pull off the single, and when they completed the run, there was no necessity for Maxwell throwing the ball to the stumps, fully knowing that there was no back-up fielder to collect the throw. The ball hit the stumps directly, but it invariably went for a four. That cracked up Virat Kohli and looking at Rohit Sharma, he was smiling, thinking why would someone attempt a throw like that despite the batsman easily being inside the crease.